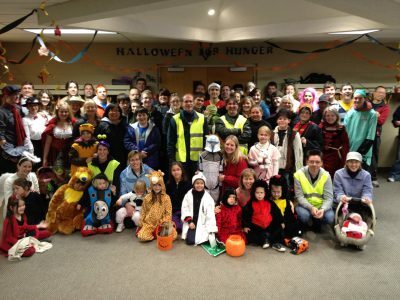 For the past ten years we have hosted an event called Halloween for Hunger (H4H) on October 31st. It has been one of my favourite events over the years. 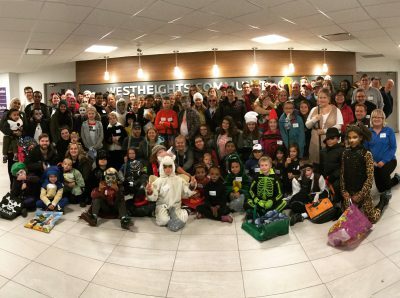 As many as 100 Westheights volunteers gather on Halloween and we divide up into teams who either collect, deliver or pack non-perishable food donations from our neighbours. 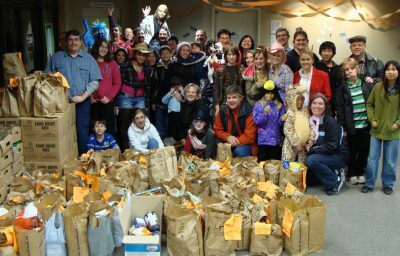 Over the years we have collected an amazing 22,000 pounds of food which equates to more than 17,000 meals for people in our community. 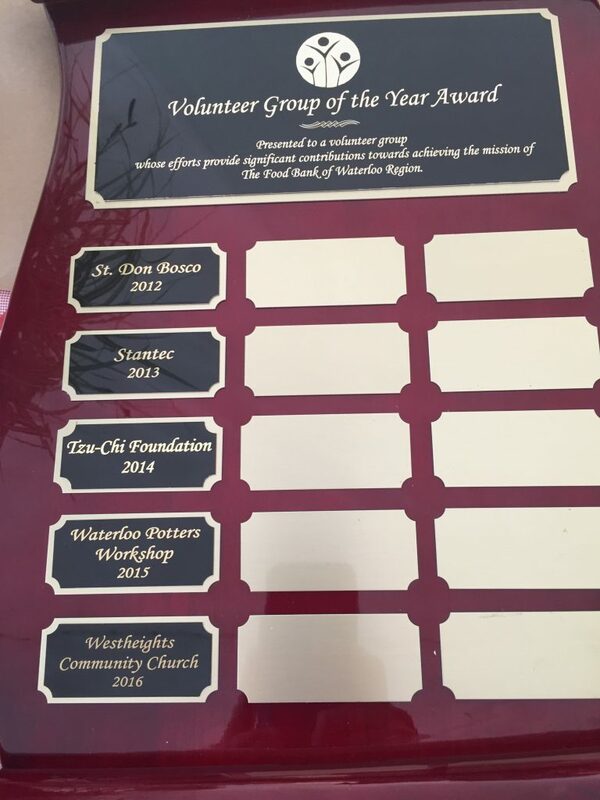 Last night The Food Bank of Waterloo Region recognized our efforts and gave us the significant award for Volunteer Group of the Year. 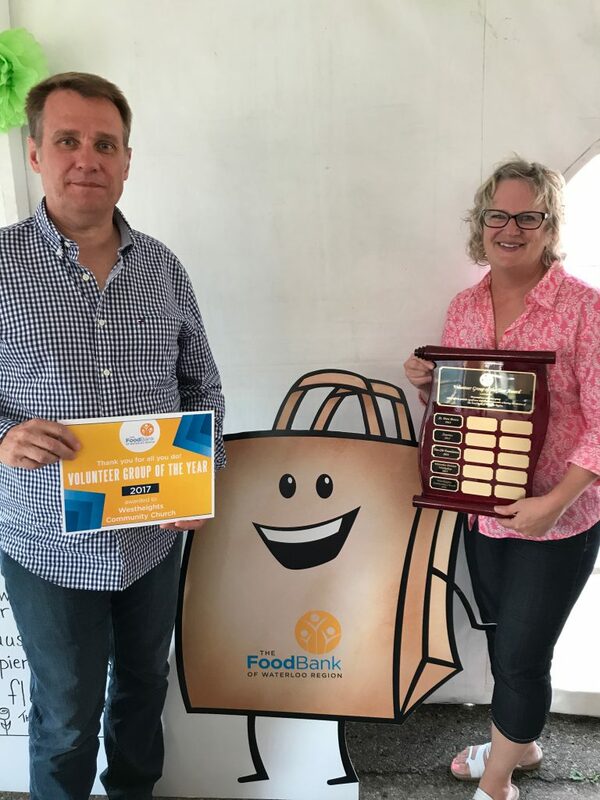 They were extremely appreciative of the contributions from the Westheights community and noted that it is becoming more difficult to obtain donations of non-perishable goods. So our contributions are making a real difference. Thanks to Tom Fenske who has overseen this event the past number of years. 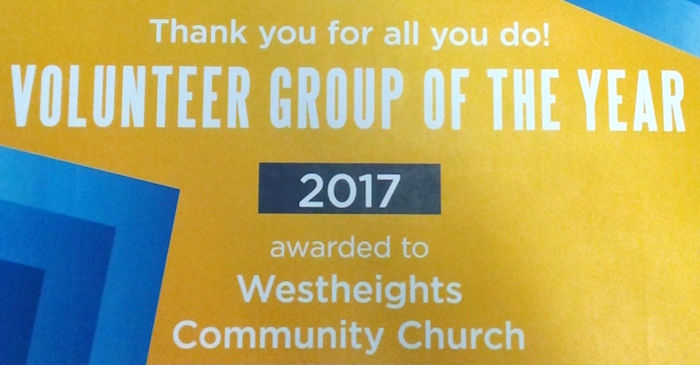 And most of all, thanks to Westheights Church and our generous Forest Heights neighbours who so generously donate the non-perishable food goods. 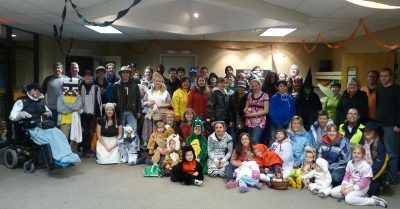 Here is what we looked like over the last few years! 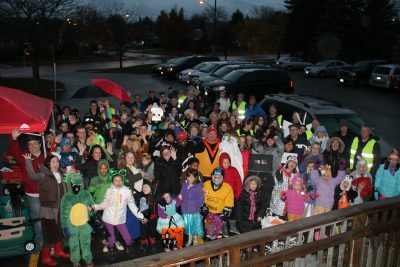 Being involved in H4H is both a highlight and an annual tradition for our family…. 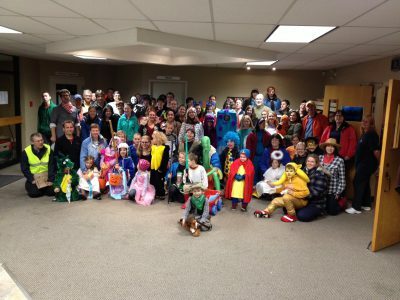 a fun activity for such a great cause!